The winter thaw is on and the time to hang up your skis and tune your mountain bike is here! Read on for some spring riding tips and our top early season trail suggestions. 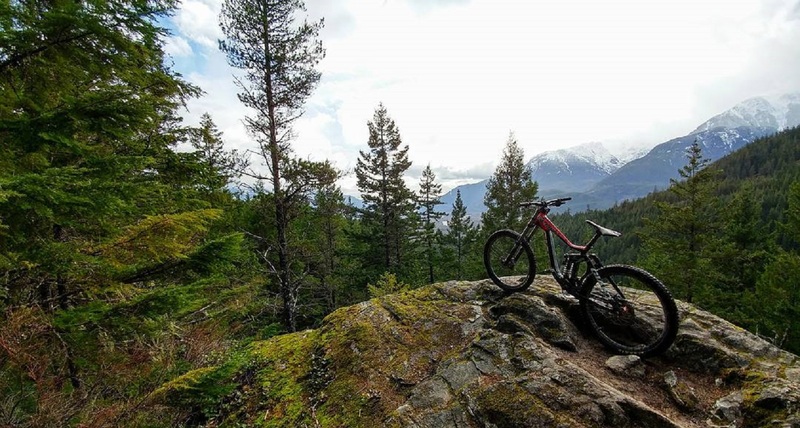 Squamish trails come alive in the springtime, serving up grippy granite slabs, velcro-like dirt and rainforest views you can feast your eyes on. While many of the trails are ready for riding, some may be soggy from winter melt or little sun exposure. Stay off muddy trails: Keep the trails happy by staying off muddy trails. Pick the right trail: Choose rocky trails and trails on southern aspects to reduce your impact on the trail. Get a spring tune-up: Give your bike some love with a spring tune and bike check. Pick low elevation trails: The snow line is sitting around 800 metres in Squamish and shady forested trails retain snow even lower. Plan around the weather: Check for weather updates and plan accordingly! 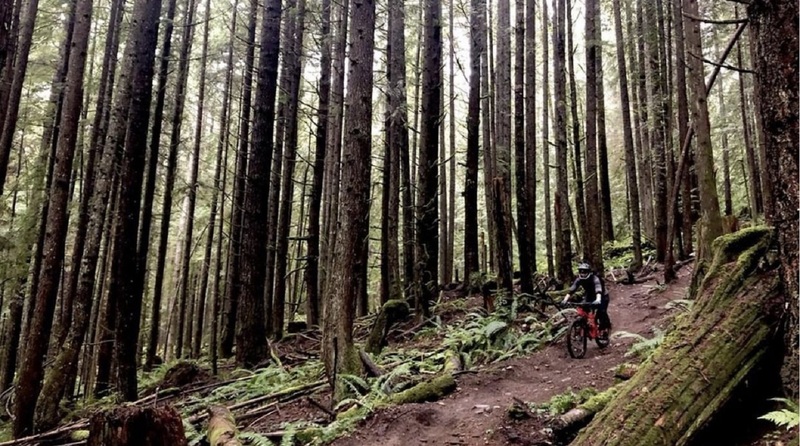 The Ray Peters trail is a perfect early season trail for beginner mountain bikers hoping to ease into Squamish riding. The trail is a wide path with few roots to navigate through. Once you feel comfortable on two wheels you can head over to Live Wire or Rusty Bucket in the surrounding area to challenge your bike handling skills! Intermediate riders will feel confident and have fun riding Wonderland trail. You can pedal in either direction which allows riders to continue as long as you feel comfortable and turn around and ride back. The trail includes small roots and wooden features that have ride around options. Please be advised some sections of the trail can accumulate water after rainfall, allow two days of sun before riding. A popular trail in the Debecks Hill / Alice Lake area is Jacks trail. This multi-directional trail can be used as a climbing trail or can be ridden downhill for a mellow descent. Access begins from the end of Perth Road in the Garibaldi Highlands and leads into Alice Lake Provincial Park. Be sure to scout the trail as you climb up, there are a few steeper sections along the way to challenge your skills. 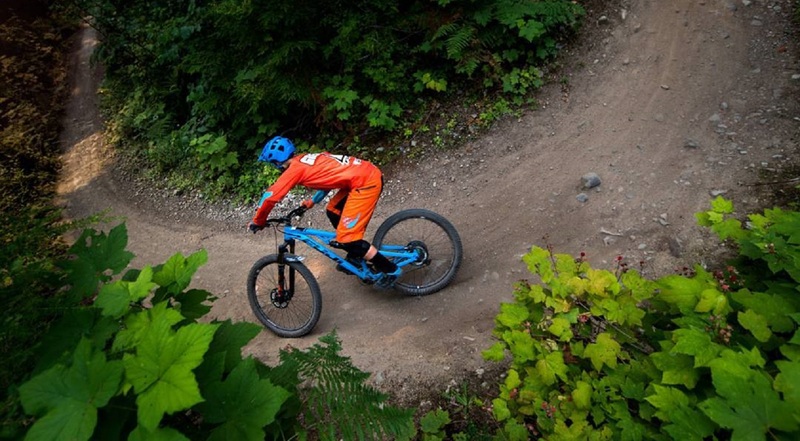 For early season, Sara from RideHub recommends warming up on a flowy trail like Pseudo-Tsuga. There are optional small jumps along the way and plenty of smooth turns. The trail was recently re-worked and is fast, flowy and fun so you can get a feel for your riding and your bike to start your season off right. The trails in the Debecks Hill area are south west facing and see plenty of sun, as a result, they dry out quickly making for an ideal spring riding playground. Crouching Squirrel Hidden Monkey is a downhill mountain bike trail full of rocky features, roots and plenty of technical fun. Intermediate riders may prefer walking the more challenging features, but otherwise, the trail is very doable for intermediates. Located in the Diamond Head area, Angry Midget is a go-to spring trail that can be combined with Pseudo-Tsuga for a fast and fun ride. The trail has a little bit of everything; it crosses drainages and has flowy sections and rooty sections to keep you on the edge of your seat. When the light hits the trees just right you may even find yourself biking through a forest littered with sunbeams! Credit Line is known as one of the first trails to open up in spring, it is consistently voted one of the most popular trails in the Alice Lake area and it's easy to see why. The trail takes roughly 15-25 minutes to ride and contains a good mix of downhill and technical climbing. The trail includes some rock rollers and off-camber lines and finishes with some flow and gradual terrain. It also includes a spectacular viewpoint halfway down the trail–a must do in Squamish! Countless hours of sweat, muscle and machinery go into maintaining the incredible network of single-track and multi-use trails in Squamish to ensure your rides are always too much fun! Give back to the trails by becoming a Squamish Off-Road Cycling Association (SORCA) Trail Supporter or a SORCA Member. 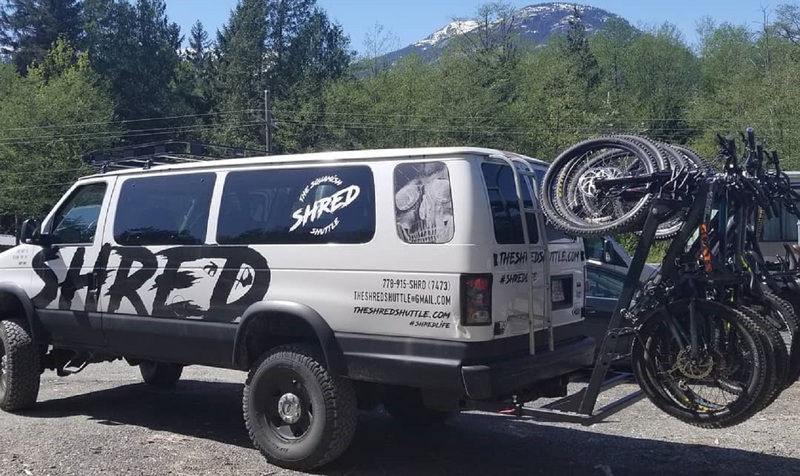 In addition to their shuttle to the bottom of Half Nelson, Squamish Shred Shuttle has expanded their shuttle service to include drop-offs at the top of Meadow of the Grizzly as well as to the start of the Sea to Sky trail. Private bike shuttles are available through Sea to Sky Adventure Company and The Squamish Shred Shuttle. It's easy to rent a bike in Squamish and drive or ride directly to the local trails. All local shops also rent bike racks for your car and offer a wide variety of sizes to find a perfect fit for you. Our local rental shops are all open for the season and include Corsa Cycles, Flying Spirit Rentals, RideHub and Sea to Sky Adventure Company. Whether you are just starting out or looking to refine your skills, Squamish's local mountain bike guides have a reputation for building confidence and inspiring riders to succeed and have fun! No matter who you choose your guide will be a master of the Squamish trails and will take you on the very best right trails for your skillset and ability. Local guiding companies include Dialed In Cycling, Ride BC, RideHub and Sea to Sky Adventure Company. RideSpots: Ride like a local by making use of the numerous resources available on ridespots.com. Peruse the must do rides, bike shops, eateries and bike-friendly accommodations on all one site. Trailforks: The Trailforks app gives you access to the most up to date Squamish trail maps complete with GPS positioning. Use the app offline by downloading trails you would like to ride in advance. Squamish is a world-class mountain biking destination, offering over 300 trails, 200km of singletrack and sea to sky vistas hidden around every corner. One day will only whet your appetite for more. Luckily there are plenty of bike-friendly accommodations that include amenities such a bike wash, secure storage and bikes allowed in rooms. At the top of Valleycliffe are two neighbouring areas that offer a ton of recreation for climbers, hikers and spectators. Squamish is a mountain town and our trail systems are so great because we capitalize on that gravity. Local experts fill us in on everything you need to know to immerse yourself in Squamish riding.